It is really important to read the lords word in everyday life to make your life happy. Christians like to read their holy book Bible to get blessings from God. And there is a great news for you if you have a smartphone or tablet with Android OS. There are several free and best Bible apps for Android available in the Google Play Store and the other app marketplace. You can download and install any app on your Android phone or tablet to read the Holy Bible every day. Some Bible Apps need internet connection to read the Bible. But Offline Bible Apps for Android also available and you can use any of these offline apps to read the Bible without internet connection. However, after a handy research on several Bible apps for android device, we found some awesome apps and listed here. So let’s have a look at our recommended Bible Apps to get your favorite one. The Bible by Life Crunch is one of the most popular and top rated Bible app for Android that you can use for free. With over 200 million downloads from the World, this is the best Bible to read and listen the Holy Bible from your smartphone. This Bible app available in more than 40 different languages, so you can read the holy book in your native language. 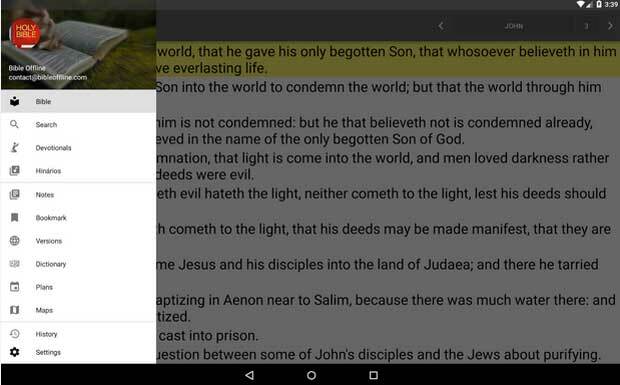 The fully customizable app helps to highlight, save and create notes while reading the bible. 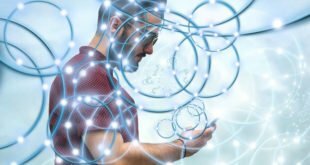 You can download specific versions of the Bible to read without direct internet connection. 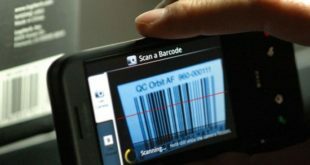 There are several versions available with specific features. The app also comes with audio for some versions of the Bible. You can listen directly with internet connection but you can’t download these audio versions. The built-in reading plan helps to read the whole Bible regularly and can also read selected topics. The King James Bible is another top rated and most downloaded Bible App that also well known as the KJV. The KJV is the English translated version of the Bible and it’s translated by the Church of England. This Bible App also well known as the Offline Bible app that is perfect to read the Holy Bible without any internet connection. Like some other Bible App, the KJV also comes with an audio version. The KJV comes with a built-in home screen widget to access the app easily and quickly. There is a feature available in this app called ‘Daily Bible Verse’. This will help to read the Holy Bible on a regular basis. There are also several features available to read your holy book easily. You can highlight any specific line or portion and can also book your favorite chapter. The Bible Offline is a popular and top rated offline Bible App that specially designed to read the holy book from your smartphone or tablet. The app comes with more than 75 different translations and the audio script you can download to listen without internet connection. There is an option to select your device SD card to store downloaded version of the Bible. The responsive and user friendly design easily fit in any size screen device and you can read easily. The built-in search option to find any specific topic or chapter easily and quickly. The social sharing option makes this app perfect to share any topic with friends or family through SMS, email, Facebook or Twitter. The free version comes with Ads feature, but you can easily remove the ads from the app setting. The Reading Bible Plan features available in this app to read the Bible regularly or read only your selected topic. 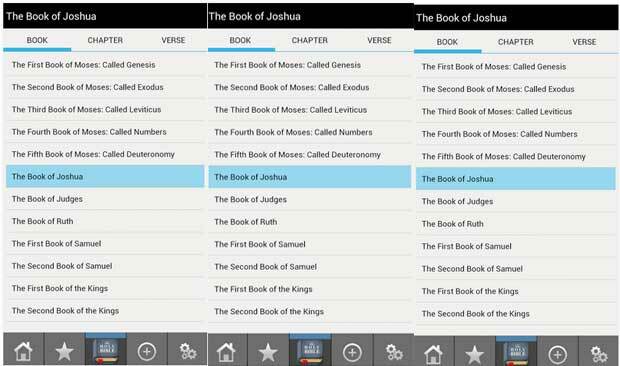 The Bible+ is a simple and user friendly Bible reading app for Android that is also available in Offline Mood. The most attractive feature of this app is that, you can register with this app to save or highlight your favorite topic or chapter. And sync with any other Android device that is perfect to read the Bible regularly. You can also take note using this app during reading the Bible. The Bible App also comes with helpful resource to read and understand any Bible Topic easily. The Built-in dictionary available in this app to understand any Bible Term easily. The user friendly navigation and built-in search option helps to find any topic easily. 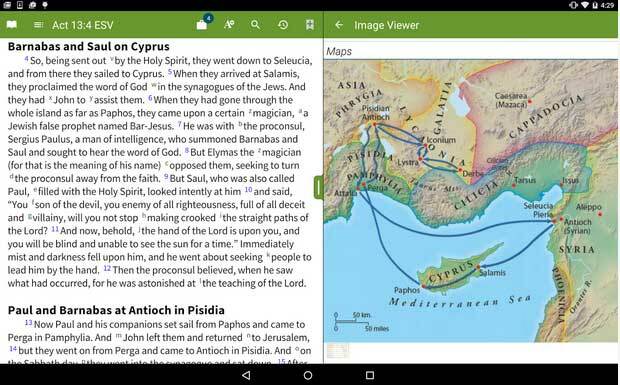 The Bible+ also comes with images and maps for specific location that’s are mentioned in the Holy Bible. Kids love to read colorful books with images and the Bible for Kids is the best app to teach your kids the holy Bible quickly. 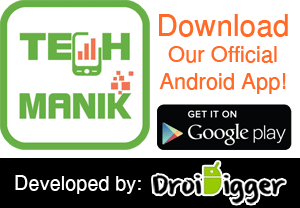 The free app available for Android smartphone and tablet that is one of the must have app for Kids. The easy navigation feature is perfect for kids to find their favorite topic easily. 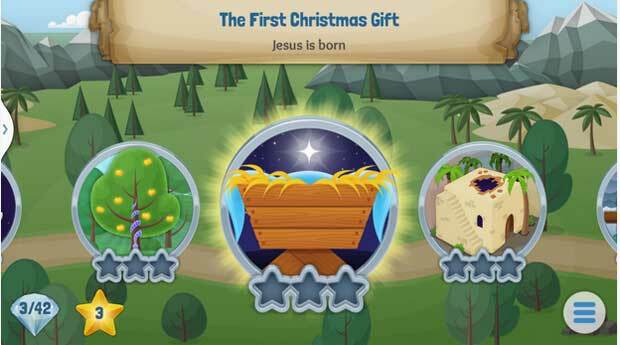 The touch activated animation with lots of fun will inspire your kids to read the Bible. There are some game related challenges available in this app for your Kids to earn rewards. This will also inspire them to study the Bible using the Smartphone. 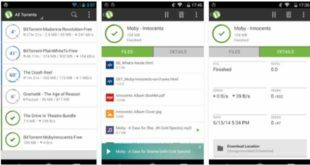 The app will install on your device memory and you can download specific topics and store them on the device. JW Library app is also one to be considered with a number of translations, many languages and study aids. Starting the day reading this kind of articles is inspiring and motivating. I recommend reading https://play.google.com/store/apps/details?id=amplified.bible.app always take it with you.